Ruby’s standard library is gradually being ‘gemified’ for the forthcoming Ruby 2.5. Read this to know how they will be organized. The last in a series on currency in Ruby looks at event loops using fibers to build a chat server. See inside your database with large key detection, memory mapping, auto-scaling and more from RedisGreen. 2.0 adds support for HTML with microformats (e.g. h-entry/h-feed). It also supports RSS, Atom, and JSON Feed. The prolific Ruby and Rails core team member discusses Rack, WebAssembly, and handling Ruby security issues at GitHub. Audio and write-up. Inspired by a tweet proclaiming Ruby’s simplicity, here is how some other languages would implement each_cons. A somewhat out of date dependency. Let our expert UpgradeRails team keep your apps up to date so that you can focus on features, not maintenance. Quickly bootstrap a Rails app against SQL Server. 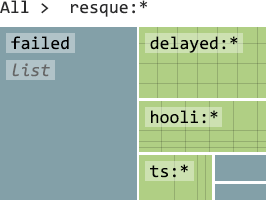 The winning option uses RSpec’s request specs. Rollbar detects and alerts you via Slack/HipChat when code breaks. Get stack trace and user data to help you defeat annoying Ruby errors. .. using a jQuery plugin called EasyAutocomplete. Ruby Book Club starts “Ruby Under A Microscope” by Pat Shaughnessy. This episode covers chapter 1’s coverage of tokenization and parsing. RubyInstaller is a great way to install Ruby and Rails on Windows and this version brings 2.4 to the party and replaces DevKit with MSYS2. A Ruby based tool and DSL for defining and executing changes to cloud resources via Terraform.